Next to los Lances Beach there is a 5 Km beach called Valdevaqueros. This is an excellent place to practice kite surf as well. Normally winds blow stronger here, thus more experienced kite (and wind-) surfers come here. 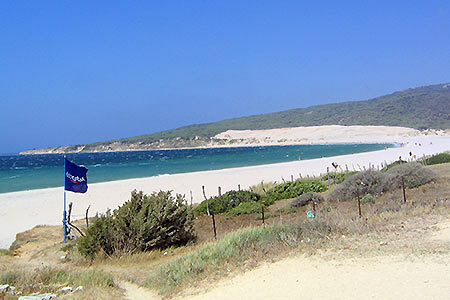 Only when the wind does not blow strong enough in los Lances, kite teachers bring their students to this beach. In Valdevaqueros you will find more camp sites. On this beach you will also find one of the best places to relax, a beach restaurant called Tangana, with chill out music and cheap but tasty menus.